At EMS we offer excellent value computer and network support built around the specific needs of your school or college. We have been supporting primary schools, secondary schools and colleges throughout Leinster since 1970, providing a professional, friendly & jargon-free service. We pride ourselves on building close relationships and the quality of our after sales service for the schools we work with. 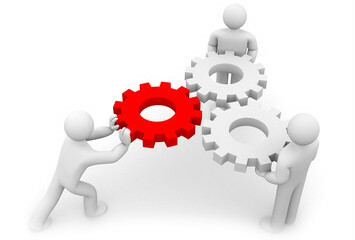 We aim to offer excellent value technical support and advice. In order to make your schools ICT resources more reliable and productive, we eliminate the stresses and strains of any technical burdens. Our comprehensive, professional & jargon-free approach, aims to make ICT as trouble-free as possible to help your school, staff and pupils fulfill their potential. We offer full training on networks we install to familiarise staff with their operation. for all PC systems and associated hardware. on network or standalone machines. We also provide general maintenance of peripherals and workstation reloads. We are able to supply or source all PC hardware, components and peripherals from a large range of suppliers who stock all the well-known and not so well known brands. We are Authorised resellers of ASUS products which include laptops, motherboards and many other items. We are also Dell Partners and have supplied many quality Dell Servers. With experience in all major software applications to a high technical standard we are able to provide fast and comprehensive technical support. Please NoteIf there is a specific service or task that interests you that is missing from the above headings, please don’t hesitate to contact us to discuss it. Our support services for schools is second to none. We have 3 different methods of helping you with your school’s network. Our team of skilled engineers is available Mon – Fri to provide you with helpful advice. Your call will be answered immediately by locally based engineers, each having the necessary experience and knowledge to resolve any problems or issues. We aim to help resolve any problems encountered as quickly as possible. We provide straightforward guidance to help you resolve issues yourself so that, in the event they reoccur, you are able to resolve them in-house – we don’t do “Smoke & Mirrors”! Your problems are important to us and providing a simple yet robust solution is our primary aim. We can liaise with equipment manufacturers and service providers on your behalf to get the desired result. 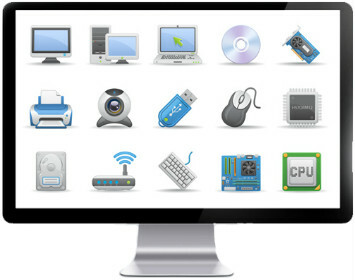 Thanks to a small, easy to use piece of software which takes a couple of minutes to install, Primary PC Solutions’ engineers are able to take control of your computer at your request. We can access any PC, laptop, server or workstation provided that you have an Internet connection. This enables us to not only control your PC but fix problems or demonstrate how to carry out specific tasks without having to visit your school – more efficient for us and more convenient for you! 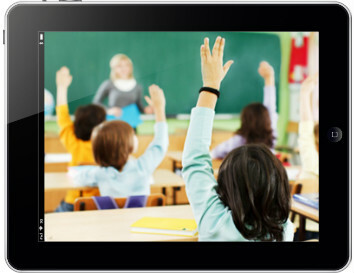 In the event that telephone or remote troubleshooting fails and you require a visit, we will send a qualified engineer to your school. Our engineers are fully aware that your business is of the utmost importance and will act swiftly to keep any downtime and/or disruption to the absolute minimum. We will always aim to send the same engineer to your premises. Our engineers carry out a variety of services from work station installations, server upgrades & networking tasks on a daily basis. All of our engineers are courteous and conscientious and you will hardly notice that they are there! To learn how EMS Copiers can deliver the IT service that your school needs, simply call us on 1890 7­70 770 or Contact Us and one of our friendly team will be delighted to help you.